Comcast and Netflix announced the Netflix service will launch on millions of X1 devices across the country available now. Integrated throughout the platform, X1 customers with Netflix subscriptions will be able to easily browse and access over the internet the extensive online collection of Netflix TV shows and movies alongside the live, on demand, DVR and web programming included with their Xfinity TV subscription. “We are excited to add Netflix to X1 and give our customers access to all the content they love in a way that has never been done before,” said Neil Smit, Chief Executive Officer, Comcast Cable. “Netflix has been a terrific partner, and our incredible teams of engineers and designers have come together to create an experience that is not only seamless and intuitive, but also lets viewers search and watch tens of thousands of movies, shows, specials and documentaries with the sound of their voice." Netflix content will be fully integrated into Xfinity On Demand, enabling X1 customers to watch past and current seasons of shows like The Blacklist, How To Get Away With Murder or The Walking Dead; explore popular Netflix original series like House of Cards,Orange Is The New Black and Stranger Things; or catch up on recent classics like Breaking Bad, LOST and Mad Men, all in one place. 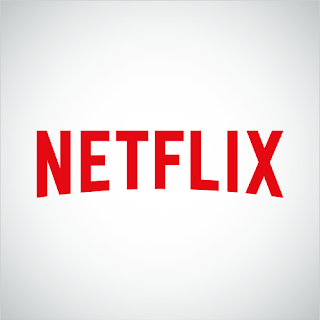 Launch the Netflix app by simply saying “Netflix” into the X1 voice remote. Search for an actor like “Adam Sandler” or “Kevin Spacey” and see everything they are in, across both Xfinity and Netflix. Start from the beginning of long-running shows like The Walking Dead or Scandal -- with all prior seasons from Netflix and the current season from Xfinity -- available in one place. The Emmy-award winning X1 platform will be in 50 percent of Comcast video customer homes by the end of 2016. For more information about X1, interested customers can visit www.xfinity.com/X1. To learn more about Netflix on X1, visit www.xfinity.com/netflix.